More and more refugees pour into Europe. They were forced from their homes due to the worst kinds of violence and danger imaginable, there have been a wide range of reactions. Failed by governments and mistrusted by many citizens in their new homes, there are yet more who have rallied behind them in an effort to try and help them rebuild their shattered lives in their new home. Where governments and charities have failed, the French tech industry is amassing a number of tech start-ups and innovators in order to ‘empower the displaced with technology’. Moved by the images and news of vulnerable refugees entering Europe, several technology industry professions came together to create a team of volunteers. They host a series of non-profit ‘Techfugees’ conferences, hackathons, and collaborations with national and international technology interests. The rise of their volunteer network has been incredible, constant, and exponential. Within the first 48 hours of their inception, their new social media presence went viral and they can now boast over 15,000 members joining their network. Their work involves bringing together tech engineers, programmers, designers, entrepreneurs and start-ups in one place. Their goal is to address the refugee crisis via technology and innovation. The focus is very much on handing back some measure of control and self-sufficiency to the refugees. Important parts of being human were stripped away when their homes and livelihoods were taken from them. Though a great many of Techfugee’s contributors are French, there are also a number of members from countries like the United Kingdom, Germany, the United States, Canada and more. Infrastructure – Providing connectivity and internet access to refugees in refugees camps, while on the move or when they settle in host communities. Education – Providing access to learning such as language courses, technical courses and school education via technology. Identity – Few refugees had the time to retrieve important documents such as passports, degrees, ID, papers or medical histories before they made their escape. 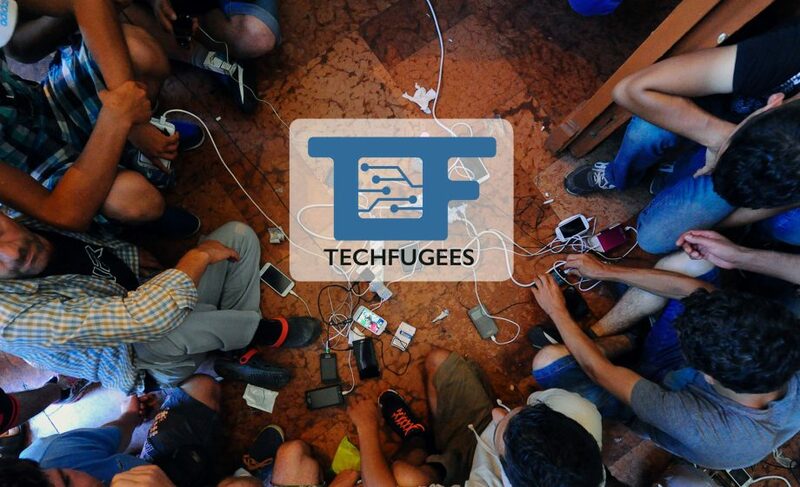 Techfugees aims to provide a digital place to store this information as it becomes available. Health – Technfugees provides access to technological innovation for essential and/or specialised care for a range of illnesses or injuries, for example apps to provide mental health advice. Inclusion – Facilitating the social, cultural and economic inclusion of refugees into host communities via technological solutions, for example banking, social media and entrepreneurship. An example of a successful Techfugee project is Project Elpis in refugee camps in Greece. Techfugee entrepreneurs have installed six solar-powered charging hubs which charge 18,000 phones per month for people who otherwise may not have access to electricity. They aim to provide a way for refugees to have reliable access to educational, legal, and other advisory content. Providing this securely and reliably has made a huge different to the lives of the people. They heavily rely on it for powering their devices. For a refugee, their smartphone or tablet may be the only way of proving their identity, applying for help, tracking their location, contacting family or keeping themselves safe. Being able to keep this device powered is important beyond measure. The solar powered hub is soon to be upgraded with a Wireless Access Point, so that refugees can use the wireless to access legal and educational aid. It will also help refugees learn about their new environment and community more effectively. It also provides a way that humanitarian digital service providers can distribute their content to refugee communities directly, for example first aid apps or apps to link refugees to local shelters. This is not the only way that technology is being used to help refugees. Some Techfugees projects are also set to focus on educating refugees in matters such as coding. This provides them with an extremely valuable and marketable skill in a continent which is struggling to keep up with coding and programming demand. This helps bring new talent into the European (and especially French) tech industry. It also allows refugees to integrate into society and make a very positive contribution to their new host country. It is very much the digital version of teaching a man to fish, rather than handing him one. One of the Techfugees volunteer partner organisations teaching coding to refugees is German-based tech non-profit ReDI School who aim to ‘use technology to break down barriers and connect the leaders of tomorrow’. It is, in essence, a digital school for new asylum seekers in Germany. It provides the tech-curious refugees with education in coding and digital skills, as well as putting them into contact with start-ups and tech leaders. ​It is obvious even from these few examples not only that the tech industry in France and wider Europe is providing a very real and valuable service to refugees and displaced peoples, but also that this help is vital in aiding these people to make positive contributions to their new host countries and to integrate successfully with the local community. It is a mark of pride for the tech industry to know that when the poor, the starving, the sick, the defenceless arrived at their door, the tech industry responded in the best way they knew how. They provided grassroots tools and the knowledge to use them, then helped the refugees to help themselves. It is a project with astounding results, and results that go unnoticed by the wider world. 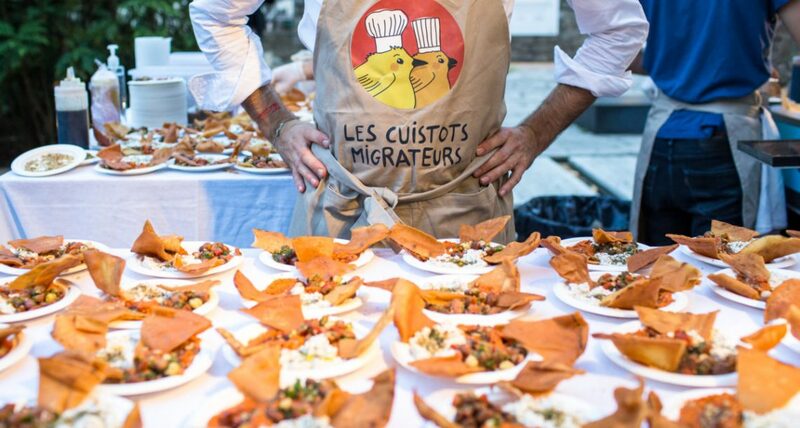 We can only hope that the Techfugees projects continue with their same level of success, and that they are able to help those who have given up all hope of ever receiving any.